US tennis star Serena Williams, penalised for outburst and racket abuse, accuses umpire of sexism during dramatic upset. 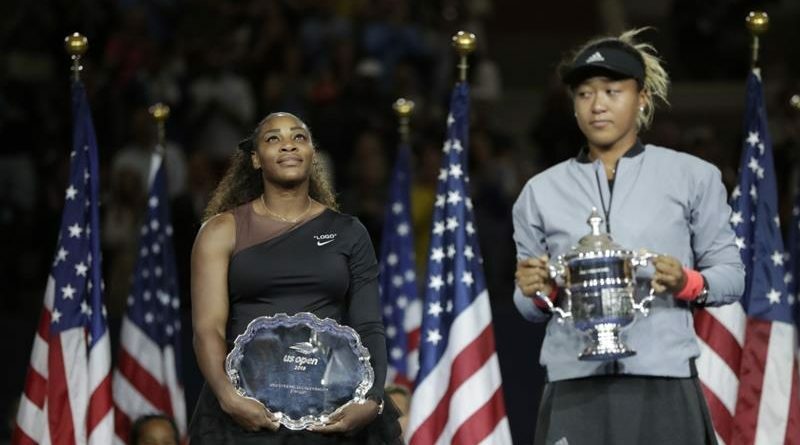 The US Open women’s singles final has sparked uproar and controversy following a landmark victory for Japan’s Naomi Osaka over Serena Williams in a dramatic match, which saw the US tennis star penalized for a string of bad behavior. The 20-year-old Japanese-Haitian claimed her first Grand Slam title on Saturday, beating her childhood idol and six-time champion 6-2, 6-4 in 1 hour and 19 mins in Flushing Meadows, New York. The 36-year-old Olympic champion was later docked a game at 4-3 for calling the Portuguese official a “thief”, which allowed Osaka to serve for the match and seal the historic victory. “I’ve seen other men call other umpires several things,” Williams said during her press conference. “I’m here fighting for women’s rights and for women’s equality and for all kinds of stuff.